Cypress Hill are often labelled “pot rappers”. They invited it upon themselves, of course, when they had the first major rap hit about weed, in the shape of 1993’s “Insane in the Membrane”, and then later campaigned for the drug’s legalisation. Their thrilling 2018 album Elephants on Acid doesn’t shy from mentions of mind-altering substances, either: “I’m called the weed messiah, grab your lighter,” begin the distinctive, adenoidal tones of B-Realon “Jesus Was a Stoner”; tracks such as “LSD”, “Reefer Man”, “Thru the Rabbit Hole” and “Crazy” (“Losin’ my mind, so high, no lie”), meanwhile, suggest the record’s title is far from incidental. “This album is about good vibes and stoner music,” fellow founder member Sen Dog said recently. Cypress Hill, who’ll be honoured this year with a star on the Hollywood Walk of Fame, are so much more than drug music, though. While many other veteran hip-hop acts have either bowed out with their legacy intact, or else continued to scramble for relevance by jumping on new trends, on Elephants the West Coast rap pioneers reasserted their position as one of the greats of the genre. Despite its nods to their past work, which has delved into rock, reggae, Latin and “traditional” hip hop, Elephants was like nothing else released last year, a sort of homage, in their words, to Sixties psychedelia. Much of the 21-track album – their first since 2010’s Rise Up – was recorded in Egypt by long-time collaborator DJ Muggs, bringing them together again after their respective solo ventures. Muggs teamed up with local Egyptian musicians on the oud, sitar, keyboard, vocals and guitar for “Band of Gypsies”, and featured underground artists like Sadat and Alaa 50 – two leading progenitors of shaabi (Egyptian street music) – recording their vocals and looping them, rather than sampling old cuts. The musical landscape is different now,” says B-Real – born Louis Freese – eyes concealed by a pair of black shades. He and Sen (real name: Senen Reyes) are sat in a dressing room at London’s Brixton Academy, ahead of what turns out to be a sweaty, no-frills trip through their vast back catalogue (new Cypress Hill recruit, legendary DJ Mix Master Mike, and their percussionist Eric “Bobo” Correa are also present onstage that night). Their tradition also involves a different type of rap lyric, based on social consciousness and self-awareness. Sen Dog, who until now has been sitting quietly as we listen to B-Real, raises his head and nods, speaking with a gruff gravitas. “The era that we come from, that raised us, there’s not that many cats around any more,” he says. “We definitely feel proud that we’re representing our era and our style of hip hop. One day, conscious rap will return and we’ll have lyrics with meaning. Until then, you have just a few that still have that kind of formula going. We’re one of them. I ask what they made of the recent comments by The 1975’s frontman Matty Healy, who claimed that misogyny was no longer an issue in rock music – but still largely prevalent in hip hop. “That’s something that was never really our bag,” B-Real says with a shrug. “You know, to talk about women and exploit in that way – maybe on the first record there was one song in Spanish, but it was a true story of a chick Sen used to date. But that was never really what we wanted to talk about, although there is a whole lot of bulls*** you hear on the radio now with a dozen songs that say the same f***ing thing. “The day that changes will be when a lot of these entertainment companies, like the people that own the radio stations and some of the promoters, stop investing in private prisons,” he says, taking a slightly unexpected tangent. “That’s when you’ll see this conscious music come back. Until then, it’s a lot of mindless bulls*** that speaks to misogyny and drug use and everything else influencing the youth to do f***ing stupid s***. 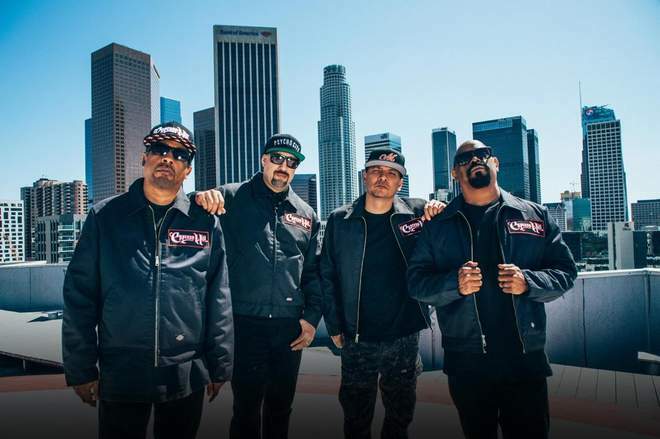 The album also has a menace that takes you back to the earliest days of Cypress Hill, whose members emerged out of real hardship and graft, even before they met in their early teens. B-Real, who was shot in the lung in 1988 when he was running with a notorious Bloods sub-gang in south-central LA, spits a warning on “Locos” that mirrors themes on “Locotes” from 1995’s Temples of Boom. On the same track, Sen’s fierce pride in his Cuban heritage (his parents emigrated from there to the US in the Seventies) shines through in his use of “Latin Lingo”. Their use of bilingual lyrics was decades ahead of a music scene that – more and more frequently – embraces multiculturalism. So interesting is their collective history that it seems strange they’re only now working on a documentary about it. 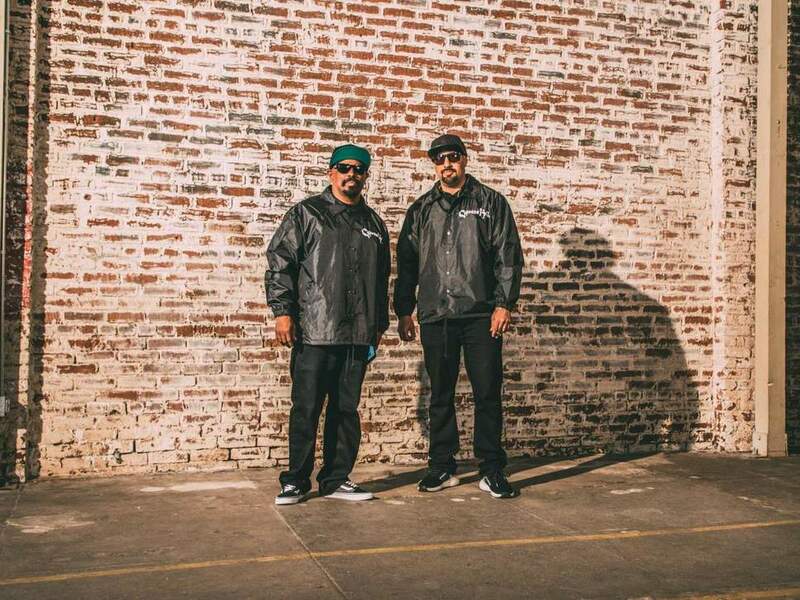 The crowd-funded film is Cypress Hill’s story told their way, B-Real explains.